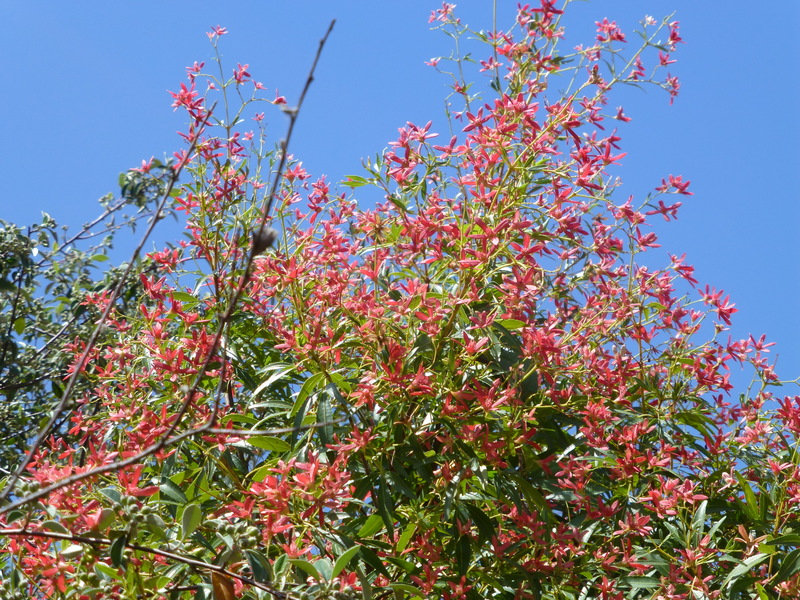 It’s Still Out: Australian Christmas Bush! Christmas 2013 has been and gone, but here in Sydney, the bushes that we so often chose for Christmas decoration are hanging onto their cheerful colours. If I remember correctly, the little red flowers are not flowers at all. They’re bracts. The true flowers precede them, small and insignificant, and are a not very attractive shade of white or cream. Beside the river, and in our front garden, these mature and charming displays of Christmas cheer are still a vivid reminder of the recent festive season. Is it only forty-nine weeks till Christmas Day, 2014?